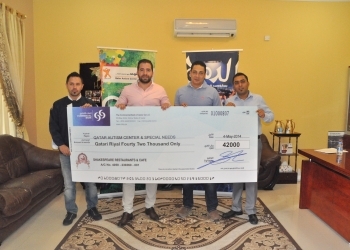 hakespeare and Co., a popular restaurant and chocolatier in Doha, donated more than 58,000 QR in 2014 supporting three major causes; Qatar Autism Center, One Cup for Gaza and Qatar Cancer Society. 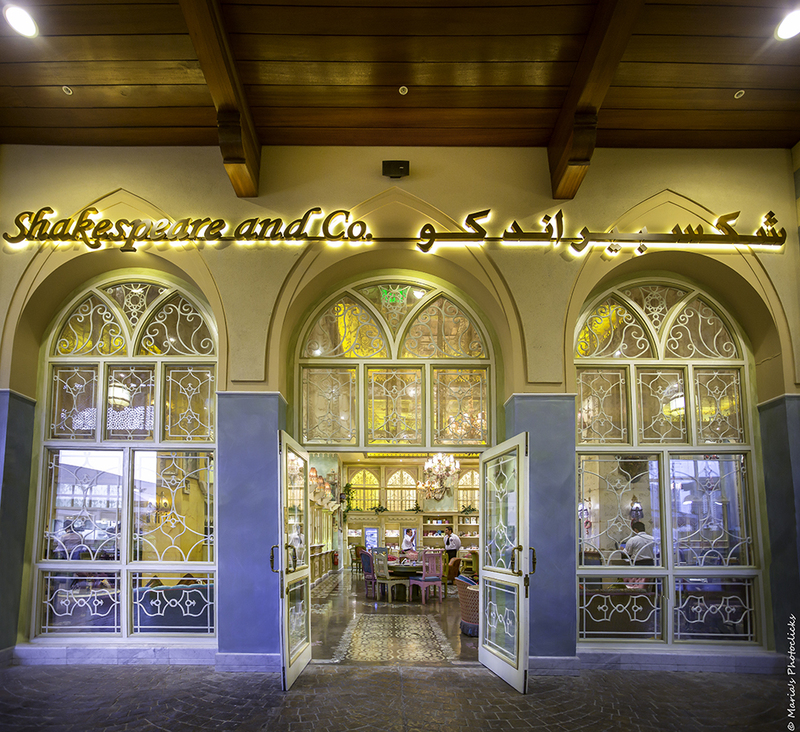 The funds raised last year were a direct result of the generosity of Shakespeare and Co.’s local patrons at both the Dar Al Salam and The Pearl branches. 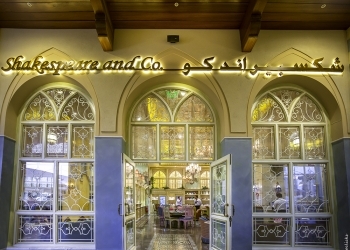 Shakespeare and Co. began 2014 by pledging to support the Qatar Autism Centre by financially sponsoring three families who were unable to afford the tuition. 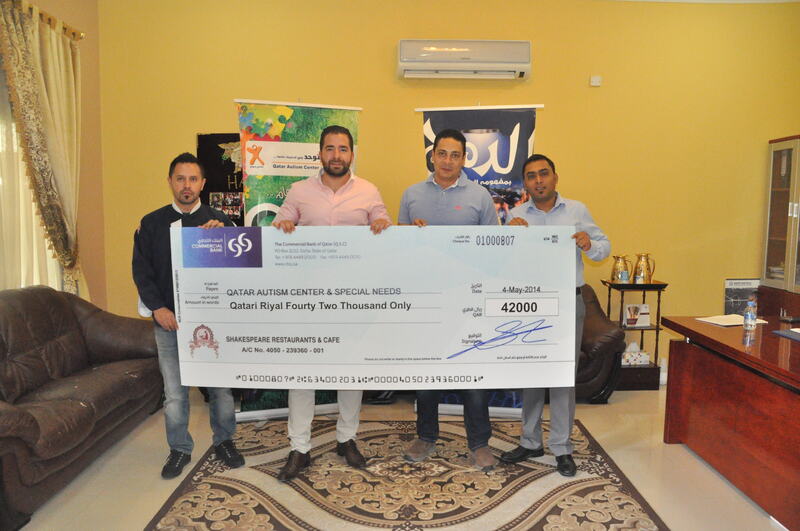 Further, the restaurant raised 42,000 QR that enabled the children to attend the centre on a full time basis and were provided with all the tools needed to help develop their abilities and skills throughout the year. Mr. Sami Azrak, CEO of Shakespeare and Co. in Qatar, highlighted that the popular local restaurant is unwavering in its commitment to giving back to the community and will continue to take part in supporting such causes by partnering with local organisations on an on-going basis. In October 2014, and to coincide with Breast Cancer Awareness month, Shakespeare and Co. Doha donated 10% of the cost of each pink chocolate that was purchased from their Pink Wall throughout the month. The successful locally driven campaign also helped to raise awareness about breast cancer on social media channels, particularly on Instagram. And to round out the year, in November 2014, Shakespeare and Co. was privileged to be a part of Qatar Charity’s campaign, One Cup for Gaza, in their efforts to help rebuild Gaza. Shakespeare and Co. donated 10% of the total beverages from November 21-28 and raised over QAR 16,000. Shakespeare and Co. will build on its successful contributions of last year by supporting local charities in 2015, and are in discussions with the Qatar Cancer Society to work together to raise awareness for different types of cancers including breast cancer. Such initiatives by Shakespeare and Co. reinforce their commitment towards the community and further highlights that the restaurant’s priorities are towards social and ethical standards.